On September 21, 2018, a reconstructed Turing-Welchman Bombe will try to find an Enigma key, just as it did during World War II. Deciphering experts will use this key to decrypt eavesdropped Enigma messages. The whole event will be live streamed on the internet. 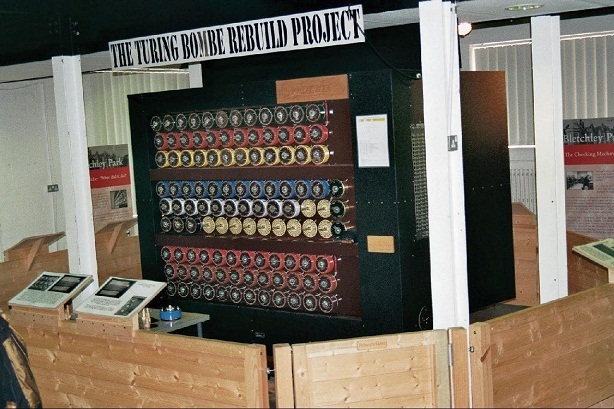 As many readers of this blog certainly know, the National Museum of Computing (TNMOC) at Bletchley Park features a rebuild of the Turing-Welchman Bombe, the device that was used to break Enigma messages during World War II. Based on the work of Polish mathematicians at Poznan, who first broke the Enigma before WW2 began, mathematicians Alan Turing and Gordon Welchman created the Bombe to automate the decryption process to reveal Enigma messages about their current operations. 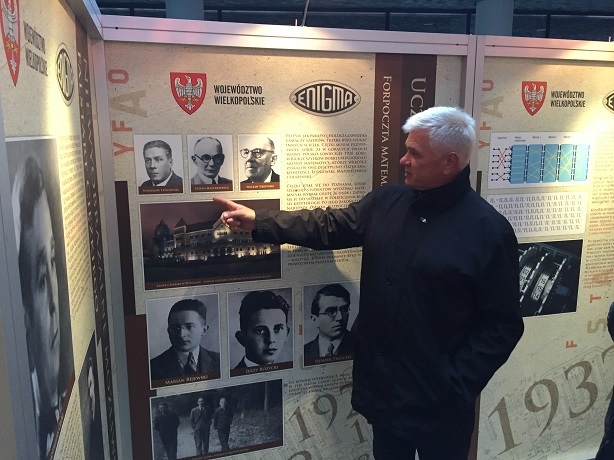 For security reasons, the Enigma key for each network in the field was changed by the Germans every day. Bletchley Park cryptographers and operators would try to discover that key as quickly as possible so that the day’s messages could be deciphered. Most original specimens of the Turing-Welchman Bombe (over 200 were built) were demolished after the war. Not a single machine is known to have survived until today. The Bombe Rebuilding Project, which started in 1995, therefore was a difficult undertaking. It required detailed research and took 13 years of effort before the replica was completed. On the occasion of the World Computer Congress, which currently takes place in Poznan, the TNMOC Bombe team will demonstrate the Bombe rebuild. On Friday (September 21, 2018), they will try to find an Enigma day key and decrypt messages depending on it, just as it happened daily during World War II. Ruth Bourne, a wartime Bombe operator, will take part in the decryption effort. 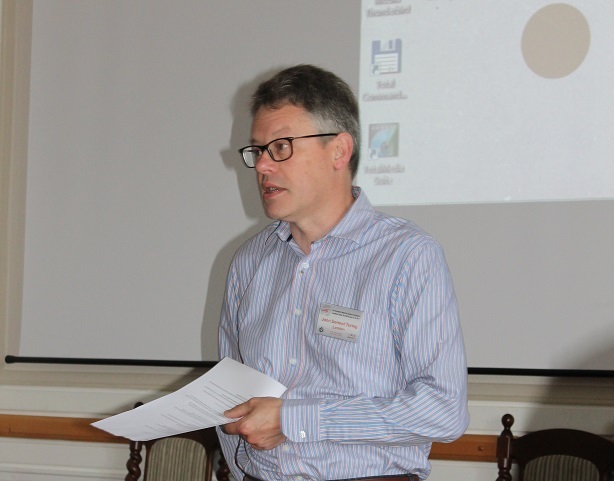 The complete process including the interception of Enigma-encrypted Morse messages from across the world, transmission to Bletchley Park, the attempt to discover the wheel settings and the production of the plain text of the decrypted messages will be demonstrated live. All these actions will be live streamed on the internet (http://wcc2018.org/Enigma-live). The program will start on Friday morning at 8:30. 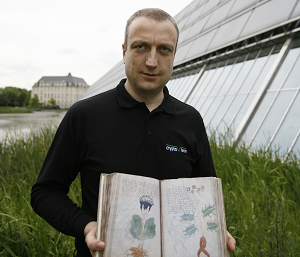 Of course, I am pleased that this Enigma story will be presented to the attendees of such an important conference. I hope that many of my readers will follow the codebreaking actions via livestream. As I will give a presentation at the Internet Security Days on Friday morning, I won’t have the chance to watch this event myself. If you do watch, feel free to publish a comment below this article. I, too, will be unable to watch this live, but I am hopeful that it will be recorded and available afterwards. 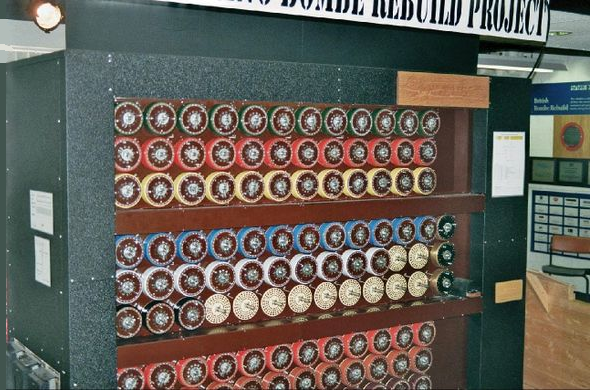 If you are in the United States, the National Cryptologic Museum in Maryland has a WW II Bombe on display in their Enigma exhibit. It is one of the 2nd generation ones made by NCR.